Mullayanagiri , is a beautiful hill station located around 45 km from Chikmagalur . 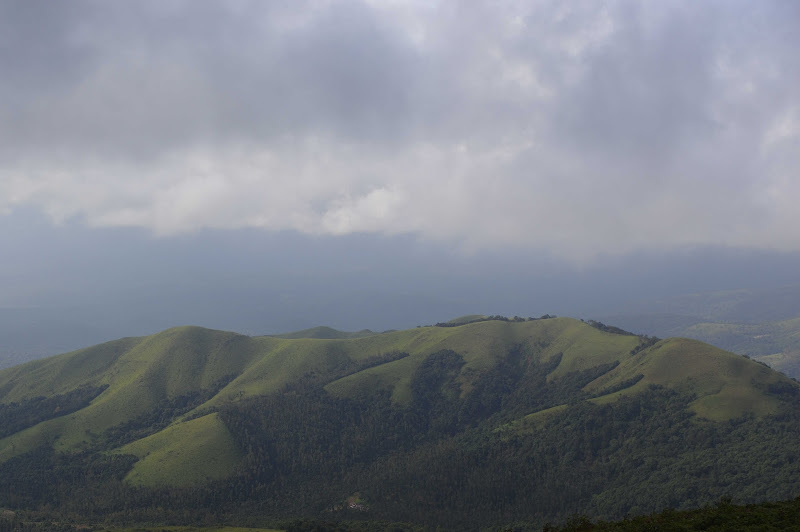 It is credited as the highest peak in Karnataka . Standing atop it, one will be at a height of whopping 1,900 metres (6,300 ft) from the sea level ! With clouds touching your feet , you literally will be on Cloud 9 ! Its one of the best weekend get-away places in Karnataka .